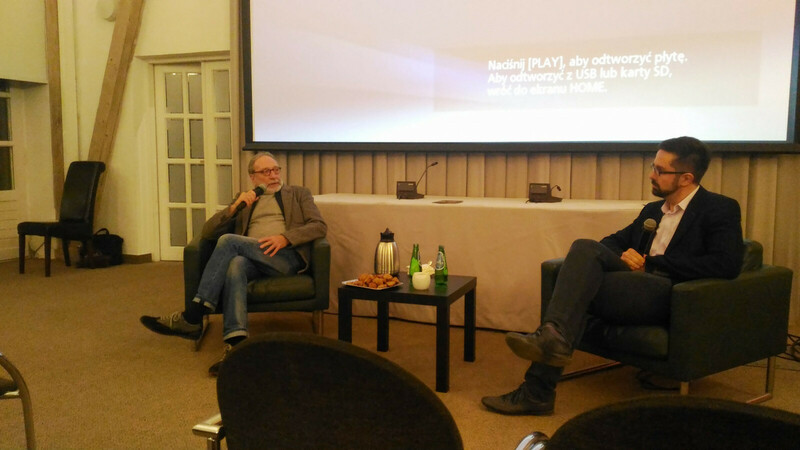 Natolin campus’ Historical Film Club commenced its activities on Sunday, 14 October 2018 with a screening of Jan KIDAWA-BŁOŃSKI’s Różyczka (Little Rose), followed by a discussion with the director. The tragic story of a love triangle, linking a young woman and a famous writer with a communist secret service agent, unfolds alongside the students’ revolt of 1968 and an anti-Semitic campaign launched by the communist authorities in Poland. As a result of the latter, a great number of the Polish Jews that survived the Holocaust were encouraged or forced to leave the country with a one-way travel document depriving them of Polish citizenship. Director KIDAWA-BŁOŃSKI, who was a teenager at that time, referred to his own memories of the events, as well as to the painful legacy left by the expulsions of Polish citizens of Jewish origin. Answering students’ questions, he also compared and contrasted very different experiences of the students’ revolt of 1968 in the West and in the former Eastern Bloc. Each meeting of the Historical Film Club, organized by the European Civilization Chair, begins with a short historical introduction followed by a screening of the movie and a discussion with either its director, one of the actors, a person directly involved in presented events or a specialist of the given period in history. The club will soon be hosting i.a. Andrzej SEWERYN (Polish actor of the Comédie-Française, award holder of the Légion d'honneur, Ordre des Arts et des Lettres and Ordre national du Mérite), as well as some world-renowned Polish directors, including Agnieszka HOLLAND and Borys LANKOSZ.